Including various ornament shapes. This sophisticated set has all the dazzling pieces you need to make your holiday season a fabulous affair to remember. 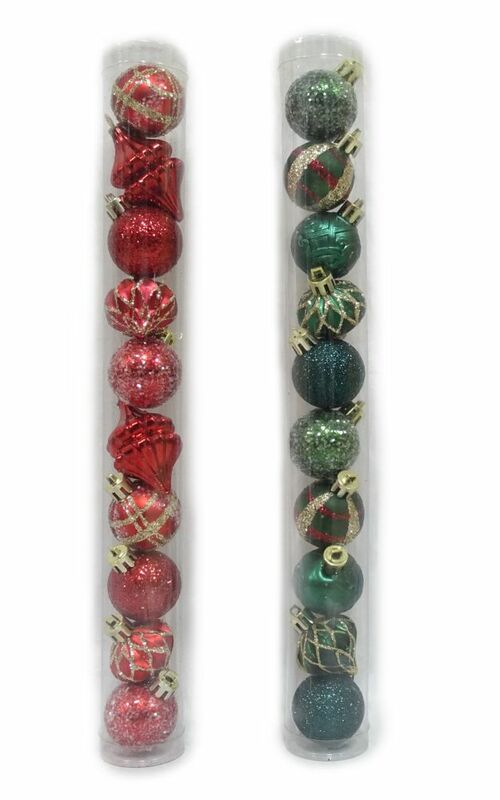 Decorating is fun and easy with the 13 inch hanging ornament from Pan Asian Creations. Battery operated and no extension cords allow for customized holiday decorations without the hassle. Choose from variety of different colors for a fun and eye-catching display. The 150 mm Giant ornament is the perfect accessory for any tree or home decoration. Combining classic Christmas style with the durability of its shatterproof design. Decorative plastic ornament add holiday charm to your home or Christmas tree, This decorative pattern is also an appropriate child's craft project for holiday parties or at home, Wake up your Christmas tree with creatively ornaments. Our unique plastic decorations, personalized custom ornaments for any special occasion. 35mm Hand-Painted Ornaments (10-Count) Including various ornament shapes. This sophisticated set has all the dazzling pieces you need to make your holiday season a fabulous affair to remember. 35mm Hand-Painted Ornaments (10-Count) is rated 5.0 out of 5 by 1.